Thiruvananthapuram, June 1 : Nearly 400,000 tiny tots across Kerala began their formal schooling on Thursday. 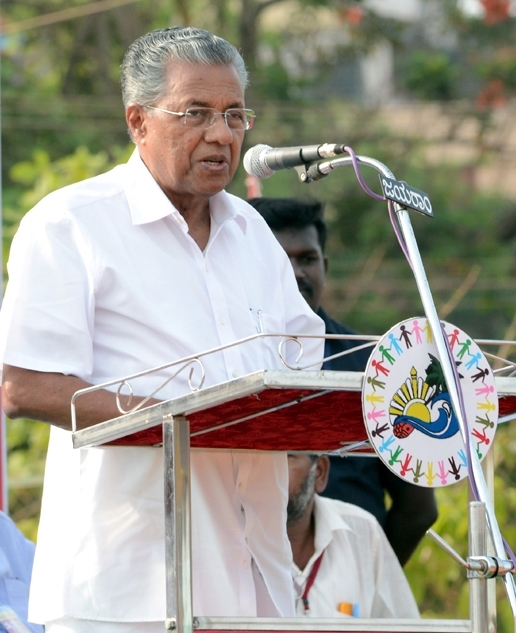 Chief Minister Pinarayi Vijayan was present at a state-run school here to inaugurate the children’s first day into formal education. While Vijayan was the chief guest, Education Minister C. Raveendranath, who arrived there first, interacted with the first-time students and narrated stories to them. This year’s opening day celebrations were marked as a ‘green event’, all plastics were shunned. In Kochi, Jebi and Divya, parents of quadruplets, arrived with their two sons and two daughters as other curious kids and school authorities gave them a warm welcome. “We had told them last night itself that tomorrow would be their first day in school and all of them will be woken up early. They were eager to wear school uniform for the first time and we reached on time,” said the happy mother, who added that their elder son was a Class 5 student in the same school. All four will be together in the same class, the Principal at the Kochi school said. According to the official figures there are 12,882 schools in the state, of which 4,619 are government schools, 7,140 aided schools and 1,123 unaided schools.